1. It’s biblical. Contrary to what some have said, expository preaching through books of the Bible has biblical precedent. The two most notable examples can be found in Nehemiah 8, where Ezra preaches through the book of the Law, “giving the sense” (v.8) as he goes, and of course in Luke 24, where “beginning with Moses and all the Prophets, Jesus interpreted to them in all the Scriptures the things concerning himself” (v.27). 2. It helps people learn their Bible. It is a sad reality that most Christians get most of their Bible at church. 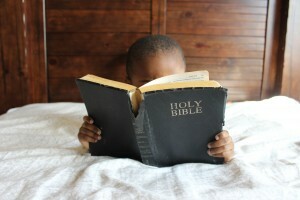 We want them to spend daily time in the word, of course, but too many don’t and won’t. Preaching through books of the Bible, then, over time exposes churchgoers to the fullness of God’s counsel. This is even true for Christians who do study their Bibles but who tend to do so like their preachers tend to preach, favoring certain books or certain stories or certain devotional emphases. If a preacher will preach through whole books, he will eventually get to more “obscure” books that even some studious Christians haven’t spent much time in. 3. It spiritually stretches the preacher and deepens his understanding of God. If a preacher will commit to preaching through entire books of the Bible, he will find himself dealing with difficult and complex passages he might otherwise have avoided. Systematically working through a book means you can’t skip the confusing parts or the scandalous parts or the “boring” parts, the study of all of which is helpful to the preacher’s own devotional life — since all Scripture is breathed out by God and useful (2 Tim. 3:16) — and consequently helpful to the congregation. 4. It puts controversial or “hot topic” issues in their proper place. A preacher committed to preaching through books of the Bible can’t hobby-horse or camp out on one political, social, or cultural issue he feels most important. His preaching isn’t being driven by Hallmark or the headlines. Thus, he gets around to the “social issues” when the Bible does and ends up correlating his concern and energy about them to the Bible’s concern and energy about them. 6. It more greatly magnifies the glory of Jesus Christ. As my favorite children’s Bible storybook says, “Every page whispers his name.” As Jesus himself says to those disciples on the road to Emmaus, even the old covenant Scriptures are “about himself.” And as Paul says, all the promises of God find their “yes and amen” in Jesus (2 Cor. 1:20). To not preach through as many biblical texts as you can is to withhold certain aspects of Christ’s glory from your church. To preach systematically through books of the Bible – laboring faithfully in the work of Christ-centered exposition — is to show the glory of Christ in surprising, fresh, and God-designed ways. 7. It fosters congregational patience, endurance, and commitment to the word. Hopping from one topic to the next, jumping around according to pastoral interest or current devotional mood, has some advantages to be sure, but a commitment to a book more befits the plodding needed for faithful, long-term ministry. Preachers who preach through books of the Bible logically think in more long-term ways, which is beneficial for pastoral fruitfulness. And the way preachers preach shapes their church. A pastor who commits to showing Christ week after week through book after book re-wires the short attention spans of modern congregants to the Spiritual fruit of patience, the Christian virtue of endurance, and the church’s mandate to be “people of the book.” Nothing shows a pastor’s and a congregation’s fidelity to and reliance on the word of God alone like preaching the whole counsel of the word of God alone. 8. It creates a longer pastoral and congregational legacy. As C.S. Lewis once said, “To go with the times, is to of course go where all times go.” Or, alternatively, also from Lewis: “The more up-to-date a book is, the sooner it is out of date.” Substitute “sermon” for “book,” and I think we’re on to something here. To preach with the times is to go where all times go. Now, sermons ought to be applicable and relevant to the Christian’s daily life and the world we live in. But the great thing about the Scriptures is that they are remarkably applicable and relevant to the world we live in without our help! And while sermons fashioned toward the tyranny of the now may be of some help for some time, sermons preached from the eternal word can be of help for all time. In the long run of pastoral ministry and the life of the church, a pastor who resources his congregation with faithful, plodding biblical exposition is providing a body of work that will live much longer after his own departure. What a milestone it would be to get to the end of preaching through the entire New Testament to your church, or even, should God grant you this length of tenure, the entire Bible! Wouldn’t that be a finish line worth shooting for?